As previously announced on the Focus Blog, Virgin Atlantic will begin offering UK domestic flights. 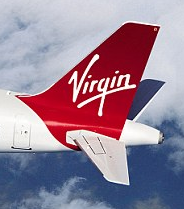 These will be launched on March 31 – the first time that Sir Richard Branson’s airline has served the home market. and will start with four daily return trips between Manchester and London. Six daily services between the capital and Edinburgh are scheduled to begin on April and on April 9th the London to Aberdeen route – with three daily flights to the Granite City, will be launched. The launch follows Virgin’s distaste at British Airways’ acquisition of domestic airline, bmi, in late 2011. The enterprise should give flyers more choice when it comes to booking holidays and trips around the country. Commuters could benefit too as train fares rise to rival flights. The four Manchester routes include an additional return journey to the three that were initially announced by Virgin.